SERIOUS concerns were raised yesterday about the toxic effects of energy-saving lightbulbs. Doctors say scores of people are coming forward with skin complaints after being exposed to the ultra-violet light emitted by the new-style bulbs. And the mercury powder inside them makes handling a broken bulb extremely dangerous. Exposure to high levels of mercury can cause itching, burning, skin inflammation, kidney problems and insomnia. Alarming guidelines issued by the Government warn that anyone breaking a low-energy bulb should leave the room immediately. The guidelines, published on the Defra website, say: “Vacate the room and ventilate it for at least 15 minutes. The debris must be disposed of at a secure site for contaminated material or returned to the retailer. Last night experts claimed the Government had not done enough to make people aware of the dangers of compact fluorescent lamps (CFLs). 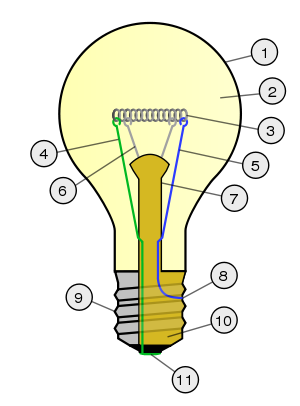 EU rules mean all old incandescent lightbulbs must be phased out by 2012. But the green measure could backfire and end up harming the environment. Dr Michelle Bloor, of Ports mouth University, said: “If thousands of CFL bulbs were sent to landfill this could pose a problem. Mercury could leak and get into the food chain. “Mercury cannot escape from an intact lamp. But people must try to avoid contact with it if they do break one. Fears that CFLs and halogen lamps can cause migraine, epilepsy and eczema have already been raised. People who suffer from Lupus, a disorder which leaves them housebound bec ause they cannot be exposed to light, are also reporting a flare-up of their condition. Dr Robert Sarkany, consultant dermatologist at Kings College London, said: “Reactions to fluorescent lights are not well understood. But I am seeing regular handfuls of patients who are complaining of skin allergies when exposed to them, as are my colleagues. Labour MP Janet Dean has raised the issue with ministers. “The Department of Health is looking into it,” she said. May I suggest you write a letter on the subject to your local MP although he/she has absolutely no say over much beyond what they squander your money on for their expenses – try your MEP since the Government in Brusells makes virtually all the law for Britain but there again your MEPs have no say and are just massively bribed to sell the concept to you.